When the availability of the original iPhone X dried up almost immediately after the iPhone XS was announced, it sort of made sense. After all, the iPhone X was a limited-edition thing meant to celebrate the tenth anniversary of the iPhone. That said, it’s disappearance was a bit of a blow for people hoping to pick up last year’s flagship at a discount. But just recently, for the first time since the iPhone X was launched, Apple started offering factory refurbished iPhone Xs for $770, a bargain so good I’d argue it’s a better value than the $750 iPhone XR. Sure, the iPhone XR costs $20 less and has a slightly newer processor, but for people who care about having a nice display, the 5.8-inch 2,436 by 1,125 OLED display on the iPhone X offers a significantly better viewing experience. Not only do colors look richer and more vibrant on the iPhone X versus an iPhone XR, the X’s OLED screen also means you’ll get better contrast and pure blacks compared to the XR’s less sophisticated LCD panel. In fact, because the XR only features a 1,792 by 828 resolution, it’s screen doesn’t even qualify as full HD, which makes a refurbished X a much better option for anyone who likes watching high-res content. The 64GB of base storage you get from a refurbished iPhone X is the same as an iPhone XR. but if that’s not enough, there are also refurbished iPhone X models with 256GB of storage as well. Furthermore, unlike the iPhone XR, the iPhone X sports a second rear camera with a 2x zoom, which gives you much more flexibility when snapping pics at ballgames, concerts, or anywhere else where a little extra reach goes a long way. Now, I must mention that Apple’s latest batch of phones have slightly upgraded image processing compared to last year’s iPhone X, but in most cases the differences are quite minimal and difficult to detect unless you spend a lot of time pixel peeping. Also, for anyone who prefers a more compact phone, the iPhone X is the clear choice. At 5.65 by 2.79 by 0.3 inches, the iPhone X is closer in size to the petite devices like the iPhone 8 (5.45 by 2.65 by 0.29 inches), while the iPhone XR at 5.95 by 2.98 by 0.33 inches stands closer to plus-sized phones like the iPhone 8 Plus (6.24 by 3.07 by 0.3 inches). 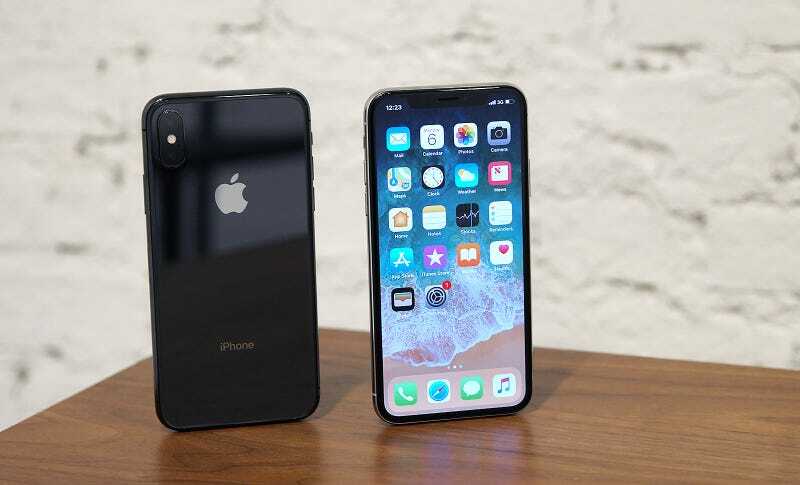 And unlike many previously-owned phones purchased from third-party resellers, refurbished handsets from Apple come with a brand new battery and the same one-year warranty you’d get with a shiny new iPhone. But perhaps the refurbished iPhone X’s biggest advantage is that it costs $230 less than a new iPhone XS and looks basically the same from the outside, no one will really be able to tell you saved a decent chunk of money on your device. And if you’re a true Apple fanatic, the X will always have a special place in iPhone history not only as the device built to commemorate the iPhone’s tenth birthday, but also as the first iPhone in a new generation of products to features things like FaceID, Animoji, Apple’s new gesture navigation, and more. The only other thing the iPhone XR really has to offer over the X is a wider range of color options. But, if like most people, you tend to put a case on your handset, the appeal of a blue or yellow iPhone might not rate very high. So if you want to get in on what’s probably best iPhone deal right now, you might want to go here and grab a refurbished iPhone X soon, because supplies aren’t expected to last very long.